Hot Shot Glass - 1.7 oz. 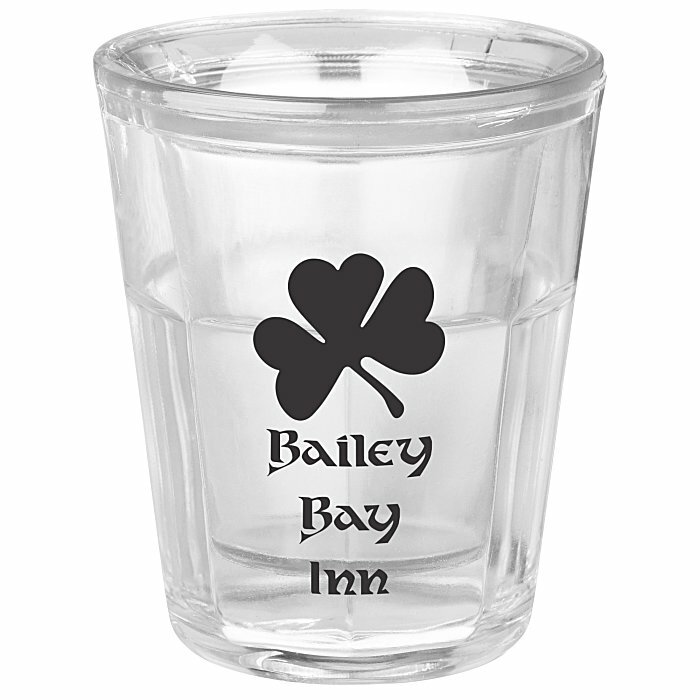 Give your promotion a shot in the arm with this new glass advertisement! Offer free birthday shots at your establishment inside these entertaining party favors! Great for beer gardens, restaurants, night clubs, cruise ships, concerts, corporate parties and much more. The imprinted souvenirs will be a take-home hit with your fans and associates! Shot glass is made of BPA free AS (#7) plastic that can be recycled in only a few limited areas; check locally for more information. Features a double wall construction with a clear outer wall and colored inner wall. The double wall construction makes the glass makes it great for hot or warm shots. Available in a selection of inner wall colors. Your price includes a one-color imprint on the side of the glass.